Former world number one and five-time Major champion Maria Sharapova endured through yet another difficult season marred by a series of health issues. Currently, the Russian seems to be just a shadow of her past glory days as she failed to win a title in a full season for the first time since 2002. In a season which Sharapova reached just four quarterfinals, the hard-hitting Russian struggled through a four-match losing streak, her longest losing streak in more than 15 years. Sharapova amassed a 20-11 win-loss record with just three top-10 wins and has failed to return into the top-20 of the rankings. Going up against the tricky Anastasija Sevastova in the second round of the Australian Open, Sharapova put in a world-class and out-of-the-world performance against the Latvian to triumph in straight sets, firing 30 winners in just 80 minutes. Her good run of form did not just stop there, though. She went on to upset the tricky Ashleigh Barty in the opening round of the Internazionali BNL D’Italia before getting through yet another marathon thriller against Dominika Cibulkova in her next match. 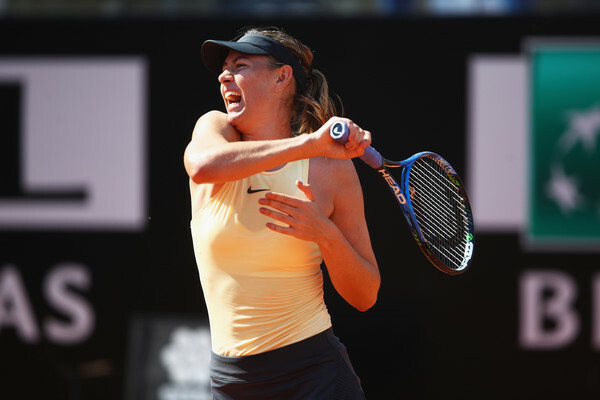 In what was Sharapova’s longest match of 2018, she narrowly edged past then-reigning Roland Garros champion Jelena Ostapenko in the quarterfinals, coming back from a set and a break down to triumph in three-hours and 10-minutes of play. Carrying her momentum into the French Open, where she is a two-time former champion, Sharapova started her Paris campaign with a slight hiccup as the Russian had to recover from a 0-3 deficit in the final set against qualifier Richel Hogenkamp to survive the huge scare. She went to defeat Donna Vekic in a tight match before outclassing world number six Karolina Pliskova with a stunning 6-2, 6-1 scoreline. She ultimately reached the last eight of a Major for the first time since 2016. Arguably, her best performance of the year came at the Rogers Cup. 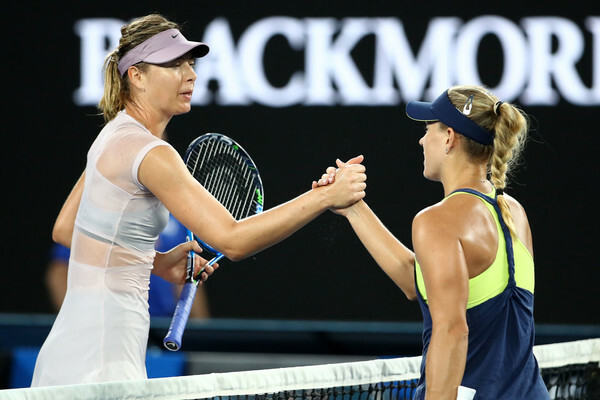 In a battle between the top-ranked Russians, Sharapova prevailed in a duel between youth and experience as she eased past Daria Kasatkina with an unbelievable 6-0, 6-2 scoreline having held serve throughout the entire match. She also reached the fourth round of the US Open, fighting through three consecutive straight-set wins which included another 6-3, 6-2 triumph over 10th-ranked Jelena Ostapenko under the lights of the Arthur Ashe Stadium. That loss to Kerber began a disastrous four-match losing streak for Sharapova who was also struggling with a left forearm issue, an injury which has bothered her since 2015. She fell to qualifier Monica Niculescu in the opening round of the Qatar Total Open, before first-round defeats to eventual champion Naomi Osaka and world number seven Caroline Garcia in Indian Wells and Stuttgart followed respectively. She was two points away from victory against the Frenchwoman but could not close out the win, although that was an encouraging performance after a lengthy lay-off due to her left forearm. Having not been defeated in the first round of Wimbledon throughout her career, Sharapova’s season experienced yet another low point after being stunned by compatriot Vitalia Diatchenko despite owning a 7-6, 5-2 lead. This is the first year in her career that she has ended the season with a losing record on grass. In tournaments where she had the golden opportunity to progress deep in the draw, Sharapova often faltered at the sight of the finishing line. She was completely outclassed against Caroline Garcia in Montreal before surprisingly falling to birthday girl Carla Suarez Navarro to snap her unbeaten record at night in Flushing Meadows. Sharapova was initially the only former Major champion remaining in her half and was tipped to make the final of the US Open for just the second time in her career, but she failed to pounce on her chances. The 36-time WTA champion had originally planned to compete in Beijing, Tianjin, and Moscow. However, after considering her health issues, Sharapova ended her season prematurely at the US Open and decided against defending her title in Tianjin. It could have been a much better season for Sharapova, although it definitely would have been if not for injuries. There was not a time when the Russian seemed completely healthy as she was struggling with a forearm issue early in the year before struggling with her shoulder towards the end of the year. She had shown that she could still challenge the best — proven through her runs to the second week in Roland Garros and US Open — but her body needs to stop going against her. 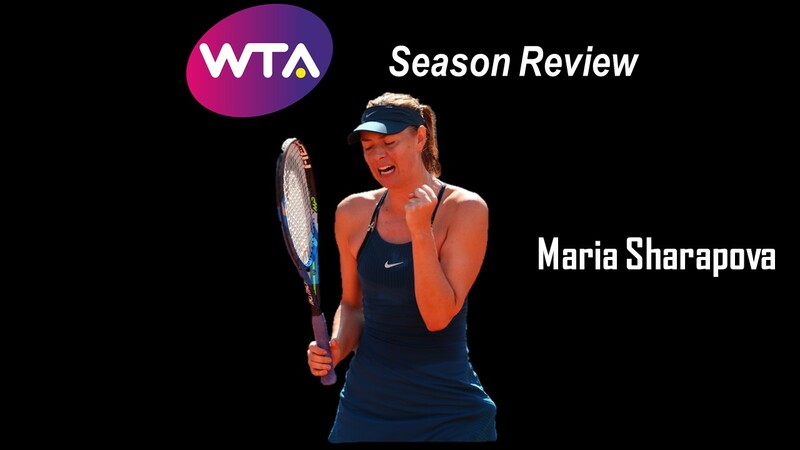 Overall, Sharapova’s season has been relatively disappointing and was definitely not up to her high standards.